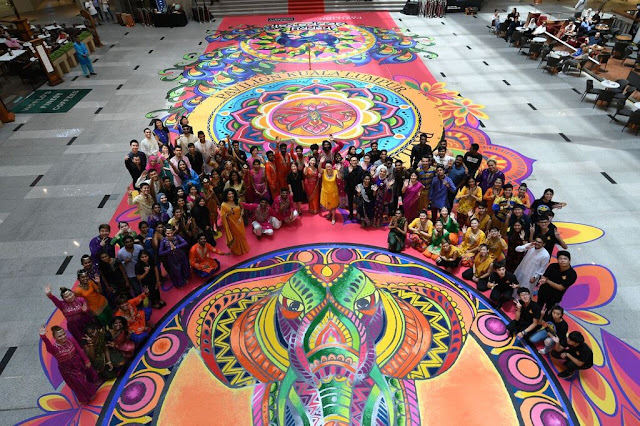 Flavours of Diwali is showcasing the most creative and largest symbolic kolam design in collaboration with Limkokwing University of Creative Technology, which will be featured in the Centre Court of the mall from now until 23rd October 2017. 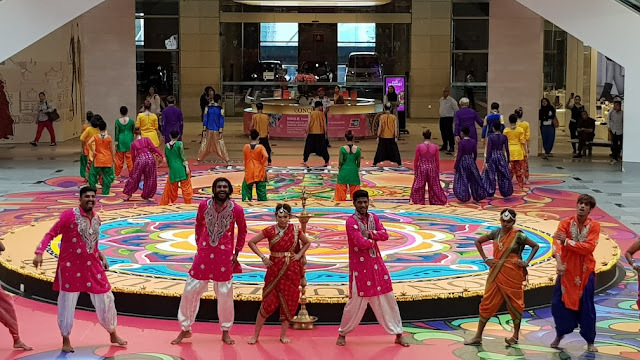 Flavours of Diwali is inviting Malaysians and everyone else to come together for a feast of the senses in the heart of Bukit Bintang, with colourful, vivid decorations, stunning performances, fabulous shopping deals and mouth-watering dishes, some of which has been specially created for the festive period. 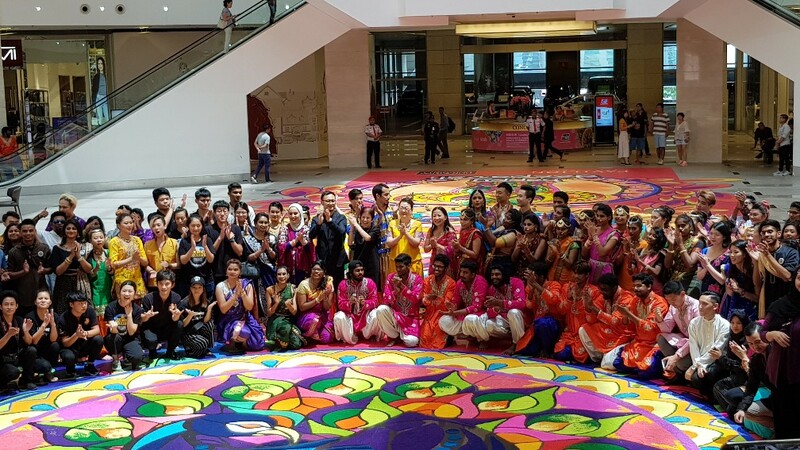 To celebrate the launch, media and guests were treated to a spectacular performance and speeches by Ms Kung Suan Ai, Director of Marketing, Pavilion KL and Dato’ Gail Phung, Senior Vice President of Corporate Development, Limkokwing University of Creative Technology Worldwide before seeing the beautiful ‘Unity Kolam’ be brought to life in a magnificent lighting ceremony. 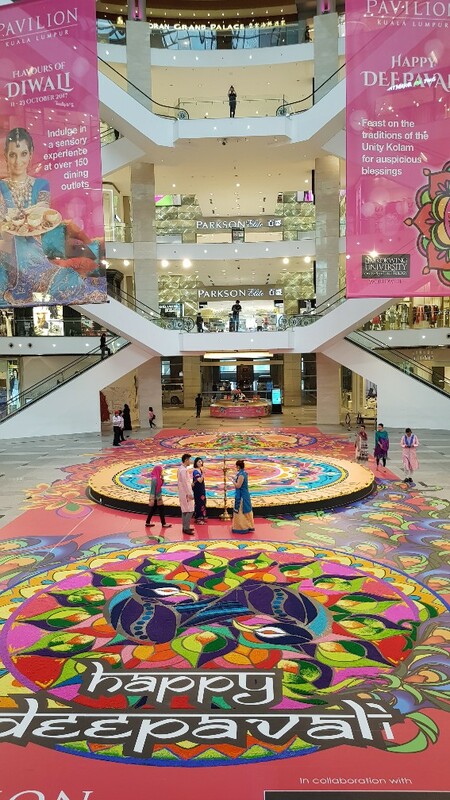 The colourful kolam is infused with robust coloured rice grains to boast intricate patterns of the different symbols of Deepavali, such as the Elephant which represents strength, power, stability and wisdom; the Lotus which encompasses creativity, wealth, health and prosperity; and the Peacock which captures beauty and elegance. 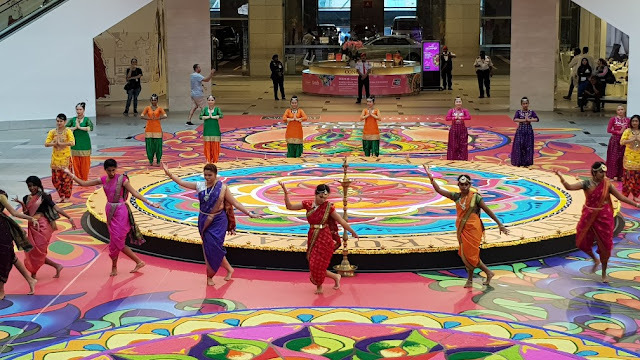 Like the myriad colours on the kolam, Flavours of Diwali captures the true essence of Deepavali that we are the most beautiful when we embody these symbols and are united as one. 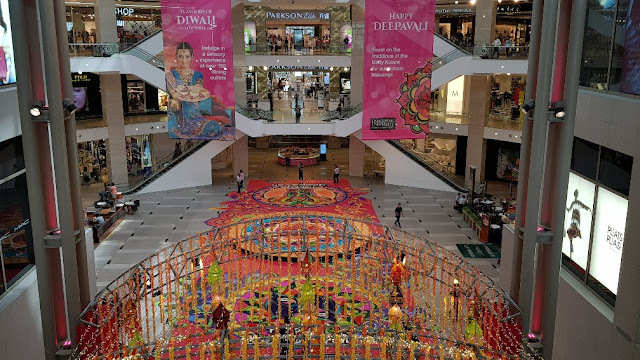 Do head over to Pavilion Kuala Limpur and immerse yourself in the charm of Flavours of Diwali with the ‘Unity Kolam’, performances, vivid sights and eye-catching shopping deals. Family and friends can also come together to spice up their dining experience at over 150 tantalising dining outlets throughout the mall. Dance to the beat to an eye-catching performance as they dance around the beautiful multi-coloured kolam. Experience the new fragrance in-store. Purchase any 2 "Artist franchise" (inclusive of an Artist Liquid Matte) & get a limited edition Jessie J pouch for free! 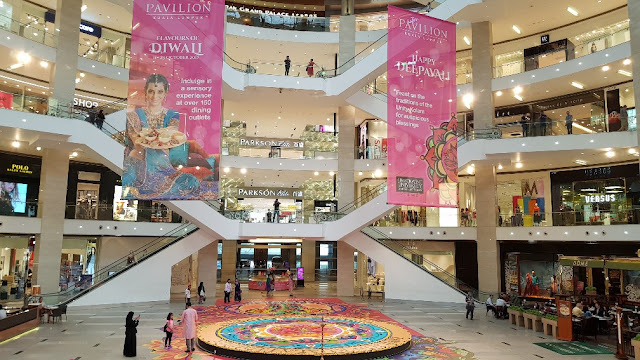 *Pavilion KL Sdn Bhd reserves the right to change the terms and conditions without prior notice. *Information (date, time, etc) for performances and promotions are subject to change. 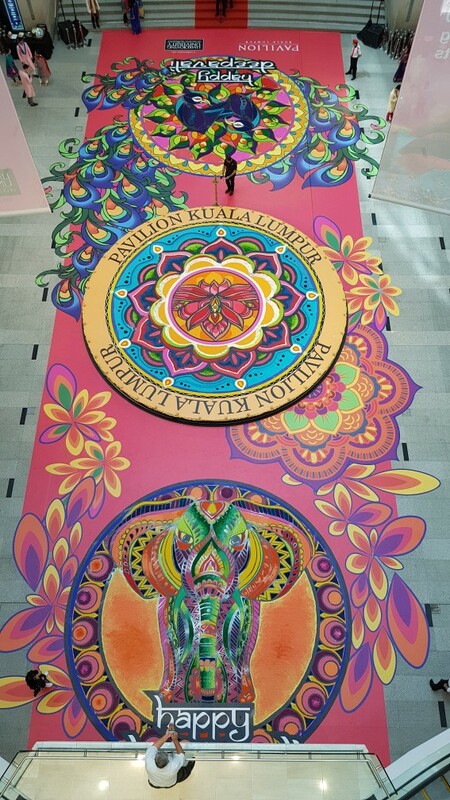 I saw this when I was there the other day too. Indeed very impressive. impressive structure and decoration. it takes up the whole area! superb decoration that requires delicate hands and focus mind. thanks for your pictures! Wow, the kolam is amazing. But then again, Pavilion has always been the leader in mall decors for all festive seasons! Absolutely love the festival of lights. 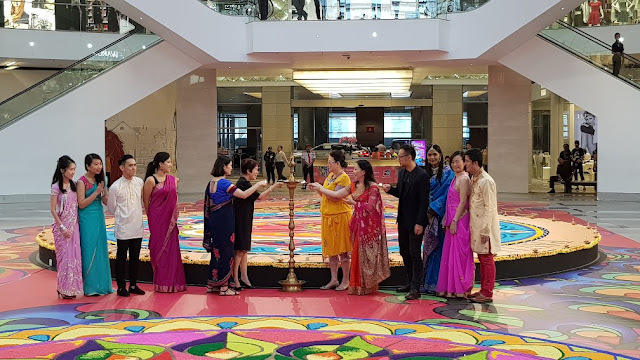 Nice to see its celebrated with gusto outside India too! i get excited for every festive season in Malaysia. Rasa meriah sangat. 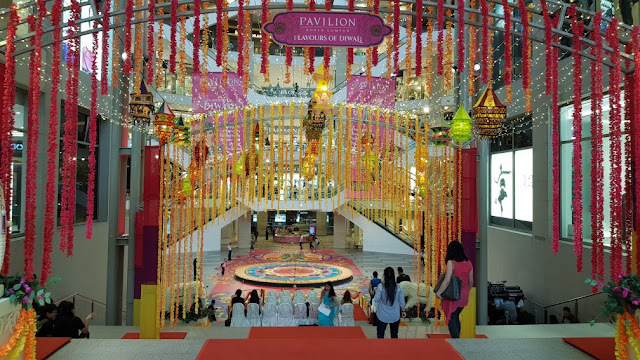 Amazing decoration and so excited to see Deepavali coming as really enjoy their festive so much.